The apartment is located centrally, within walking distance of 10 minutes from the Ban Jelacic Square and to many other cultural and institutional sights. Nearby, there are restaurants, cafes, trendy shops, open-air market Britanac (British Square), and main shopping street Ilica is only 600 meters away. Apartment is located on the ground floor of the well maintained building. The apartment has one living room, one bathroom and one bedroom. The kitchen is separeted and is part of the hall that links bathroom with living room and bedroom. Apartment is newly renovated, modern decor. Whether you're traveling for business or pleasure, this apartment offers an array of modern amenities to ensure your comfort. Take an evening stroll to the Ban Jelacic Square - then come back and relax in this comfortable apartment and prepare for another day of sightseeing. 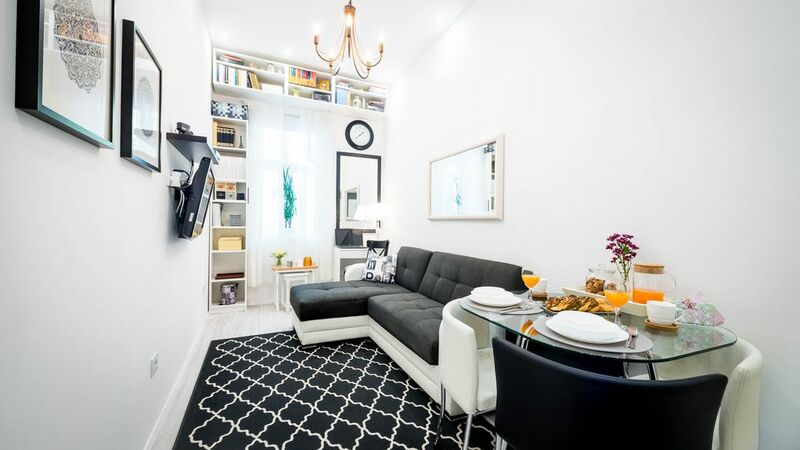 Beautiful cozy apartment, equipped with everything you could possibly need! Thank you for your lovely review, which is much appreciated:)) It was such a pleasure and privilege of having you as our guest. And the best thing is, when I welcome back you next time, I'll be welcoming my friend:)) Much love and courage for you and what you do!! !